Spend a day in the wondrous Aravalli Mountains, visiting two spectacular sites. 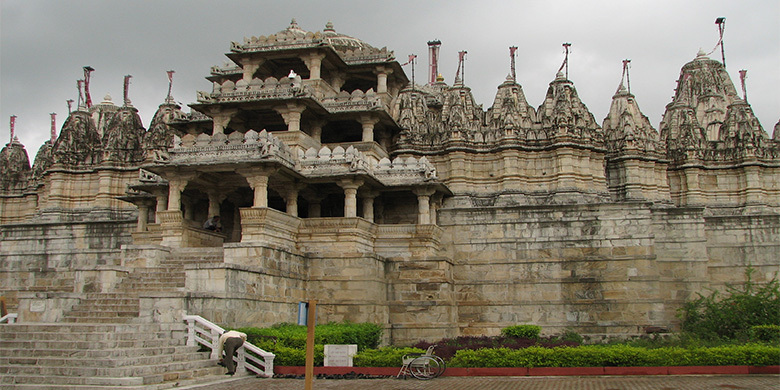 We will pick you up at your hotel at 9:00 a.m. and head for Ranakpur, a two and a half hour drive. 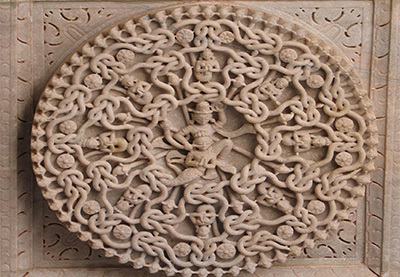 Located between Jodhpur and Udaipur, Ranakpur has a collection of Jain temples that are unparalleled in their beauty. The temple at Ranakpur is dedicated to Adinatha, the first Jain Tirthankara (spiritual leader) who conquered the cycle of rebirth and achieved enlightenment. After Ranakpur, we will stop for lunch at the Maharani Bagh and then it’s a 45 minute drive to Kumbhalgarh. 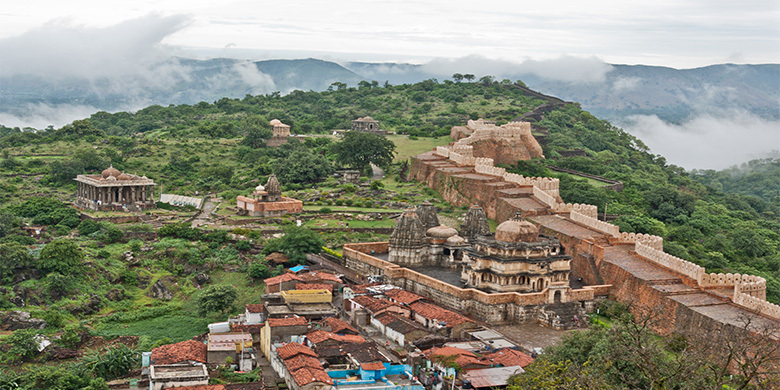 Kumbhalgarh Fort is on a hilltop 1100 metres in altitude, with perimeter walls 36 kilometers in length – some say these are second in length only to the Great Wall of China. The frontal walls of the fort are 15 feet thick and the fort has 7 fortified gateways. The fort houses 300 ancient Jain temples and over 60 Hindu ones. You will get a view extending well into the mountains, from the top of the palace.